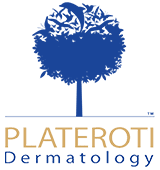 Plateroti Dermatology board-certified dermatologists are nationally recognized experts in both medical and cosmetic dermatology, integrative medicine, offering a unique blend of skincare knowledge that is unmatched by any other dermatology practice or med spa in the Central Coast. Whether you have hard-to-treat acne, stretch marks, stubborn fat, cysts or moles, our dermatologists, integrative specialist and cosmetic consultants can give you the advice and treatment you’ve been waiting for. Nestled in the heart of the California Central Coast of San Luis Obispo County has the most cutting-edge skin cancer treatments and cosmetic skin care solutions available in the Beautiful Central Coast of California. In our Templeton office, you are both examined and treated by Dr. Carmelo Plateroti, who is an award-winning board-certified dermatologist and mohs surgeon. Dr. Plateroti also specializes in surgical dermatology to help those who may require more advanced procedures to live a happier, healthier life. We offer Mohs micrographic surgery, as well as unique anti-aging solutions, integrative medicine, and best in class cosmetic treatment options. Regardless of the issue, we will tailor our skin care solutions to your needs.